Let’s look at how the song came into being. It was composed by John Henry Hopkins, Jr. in 1857. At the time, he was rector of a church in Williamsport, Pennsylvania and was teaching music at General Theological Seminary in New York City. He wrote it for a Christmas pageant being held at the college. The first and last verses were sung by all, but the middle three verses were sung as solos by each of the “kings” about their particular gifts. So, in this context, it’s kind of OK…don’t you think? It does teach some significance to the gifts. Unlike most other carols, Hopkins wrote both the lyrics and the music for the composition. Interestingly, this carol is the first one written in America to receive wide acceptance. It is appropriate to talk and sing about the wise men during the Christmas season since it is a story of events that happened around Jesus’ birth. I was glad to be able to find a picture to go with this post that showed Jesus as “the young child” rather than as a baby in a manger. 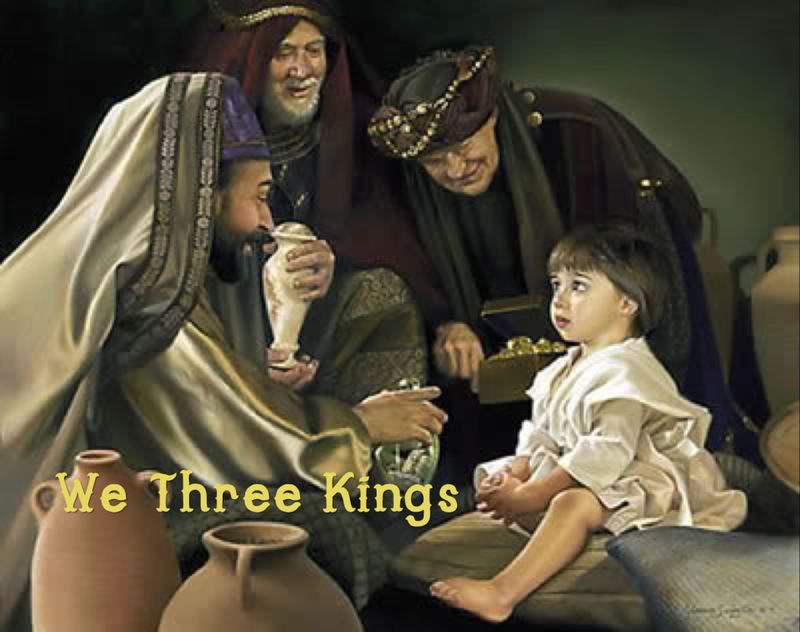 There is so much in church history and tradition about the magi. That there were three of them dates back to around the year 500. If you are interested in reading more about the various traditions you can learn a lot here. Just for fun, here’s a rendition of “We Three Kings” by the California Raisins from a Claymation Christmas.